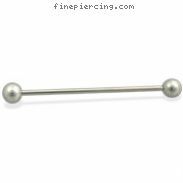 Long barbell (industrial barbell), 14 ga. Body piercing jewelry. 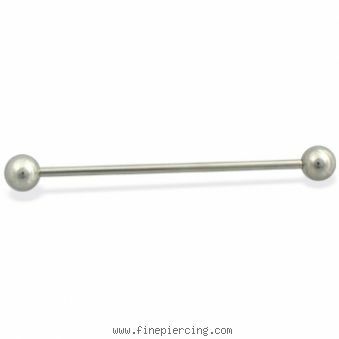 Shown: 2" barbell with 6mm balls.